At 8.30pm on Saturday, March 28 2009, millions of people in hundreds of cities around the world will switch off their lights for 1 hour as part of Earth Hour 2009. We need you to be part of this important event. 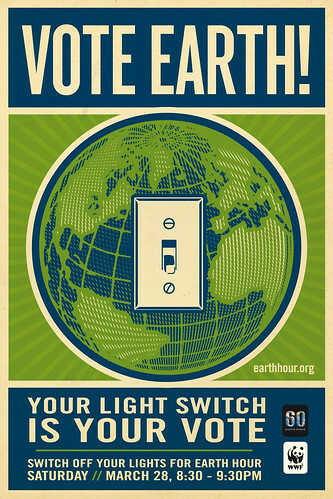 Together, our small actions will represent a global vote for action on climate change. A bio on the artist follows.